Last week’s BVWire covered a recent blog post by Professor Aswath Damodaran (New York University Stern School of Business) in which he questions the size premium. One point he makes is that some analysts add a size premium by rote because the legal system looks to precedence as opposed to what may be a better practice. Some cash-starved states are finagling with their industrial and commercial property tax assessments to pump up their coffers—and sometimes it’s not on the up-and-up. They’re doing it in such a way that it requires a business valuation professional to sort it all out and prevent assessors from improperly inflating ad valorem property tax bills. This presents an emerging practice opportunity. Here’s the story: Ad valorem taxes on industrial and commercial properties are often seen as a great way for localities to increase revenue. But they can’t simply raise tax rates or arbitrarily increase assessed values—unless they get creative. “Many assessors have moved from applying traditional real estate valuation methods to effectively applying business valuation methods to come up with assessment values. The trouble is, these methods often produce a value that encompasses the value of the taxpayer intangible assets—which are not subject to property taxes in some jurisdictions,” says Robert Reilly (Willamette Management Associates). That means that many commercial property owners are paying too much tax. “In some cases, the assessors are not appraising the taxpayer’s real estate and the tangible personal property. Rather, they’re appraising some or all of the going-concern business that operates at the industrial or commercial property,” says Reilly. Certain types of industrial and commercial property are particularly susceptible to this practice, such as hotels, hospitals, shopping malls, theaters, stadiums, and the like. Property owners are often unaware that this is happening—and some assessors are hoping they stay that way. This presents an opportunity for valuation professionals who have expertise with identifying and valuing intangible assets. What to do: Valuation analysts need to examine their local areas to see whether the laws exempt certain intangible assets from commercial property taxes, Reilly advises. Then, determine whether the assessor’s property assessment for the client property includes the value of exempt intangible assets. If it does, they need to be identified and valued so they can be extracted from the property tax assessment. Because the intangible asset valuations are performed in the context of property taxes, analysts need to be aware of some nuances, which Reilly explained during a recent webinar, Intangible Asset Valuation for Property Tax Compliance and Appeal Purposes. Most jurisdictions allow plaintiffs to claim either lost profits or lost business value to avoid double recovery. Therefore, the valuation analyst either does a damages analysis or a business valuation. But this separation is no longer so strict, as some recent cases illustrate. Case No. 1: “In a New York case involving a restaurant, the plaintiff claimed harm to the corporation and himself because of the siphoning off of cash during the years he worked there,” explained Sylvia Golden, BVR’s legal editor during a recent webinar. He also tried to claim harm to himself because he never got a distribution of profits. The court said whatever profits were siphoned off belonged to the corporation. But, when all was said and done, the court decided to add the diverted profits (including interest) to the valuation of the business to derive a buyout price for the plaintiff. “I believe the court took two components and added them together,” observes Jim Alerding (Alerding Consulting LLC), who also spoke at the webinar. “One component was the plaintiff’s share of the unreported income. Since the income was unreported and apparently not modified in determining the value of the business, it needed to be added to the amount necessary to make the plaintiff whole in terms of receiving his fair value.” The case is Cortes v. 3A N. Park Ave Rest Corp., 2014 N.Y. Misc. LEXIS 4693 (Oct. 28, 2014) (Slip Op). Case No. 2: In another case, one that involved the expropriation of a Baton Rouge, La., donut shop, the analysts essentially did a business valuation, but the calculation had a damages component, according to Golden. The company’s valuator, in particular, insisted that the owner was entitled “to the value of the owner’s pecuniary position in the business enterprise on the date of taking plus any additional compensation necessary to the full extent of his or her losses." Therefore, he added full owner compensation to the cash flow determined based on tax information. “In this case, I believe that the valuators on both sides to some extent mixed loss of value and damages principles in arriving at their damages,” says Alerding. “Since both sides did this I believe the court did not pick up on it and allowed the mixed methodologies as a measure of damages.” The case is City of Baton Rouge v. Jay’s Donuts, Inc., 2014 La. App. Unpub. LEXIS 722 (Dec. 17, 2014). To listen to an archived version of the webinar, BVLaw Case Update: A One Hour Briefing, click here. Also, digests and full opinions of both cases are available at BVLaw. Almost three-quarters of family businesses around the world expect to see steady growth ahead, a new survey from PricewaterhouseCoopers reveals. Two-thirds (65%) of family businesses reported growth in the last 12 months, and 15% are aiming to grow aggressively over the next five years. “This year’s research tells us that the family business segment remains resilient and dynamic even though the post-recession economic environment is proving tough and there are continuing pressures in relation to skills shortages, innovation, and governance,” says PwC. The survey results come from a poll of 2,400 owners and managers in 40 different countries. One of the big concerns in the business valuation profession is future talent. Where will the next generation of qualified valuation professionals come from? One logical answer is college campuses. Of course, some campuses will have more to offer than others in terms of talent. For example, at the Rawls College of Business at Texas Tech University, fledgling valuation analysts are part of a Business Valuation Club formed in August 2014 that now has 15 members. What to do: BVWire urges valuation practices to become involved with their local colleges to help nurture student interest in business valuation. For example: sponsor a club like the one at Texas Tech, host some site visits, give some presentations to classes, or hire an intern. Also, consider sponsoring a college team to the Private Business Valuation Challenge, an annual competition between colleges from across the country. BVWire wishes the members of the BV Club at Texas Tech the best of luck! It’s consumerism, according to a new study from Availity. Patients are taking on more responsibility for their healthcare costs through the growing popularity of high-deductible health plans. Therefore, it’s essential that healthcare providers collect from patients at the point of service or before, according to the study. Once they leave the office, patients are much less likely to pay. The vast majority (90%) of physician practices and healthcare facilities agree that collecting patient financial responsibilities before the patient leaves the office is important to the financial health of their businesses. The House of Representatives overwhelmingly supported the Innovation Act of 2013 when it was introduced. However, the proposed legislation, along with other patent reform bills, died in the Democratic-controlled Senate. Congress has now reintroduced a patent reform bill, known as the Innovation Act of 2015 (H.R. 9), which is substantially similar to its predecessor. This time, however, the Republican majority extends into the Senate. The bill contains harsh requirements designed to discourage unwarranted fishing expeditions by patent trolls. The International Valuation Standards Council (IVSC), the global standard setter for valuation practice and the valuation profession, has made two high-profile appointments to its board of trustees. Ethiopis Tafara, a vice president for corporate risk and sustainability and general counsel of the International Finance Group (IFC), and Zhang Guochun, secretary-general of the China Appraisal Society (CAS), join as trustees. 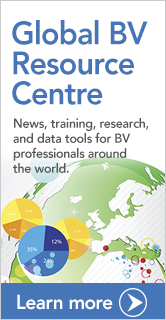 Extra: BVR’s new Global Business Valuation Resource Centre is designed to deliver best-in-class news, training, research, and data tools to business valuation professionals around the world. If you have ideas on topics, products, and/or news items, we would welcome the chance to speak with you! Contact Lexie Gross at lexieg@bvresources.com/+1 617 861 7700. People: Sarah Hussey of Weston Consulting Group of Bozeman, Mont., and Karen Sparks of Divorce Financial Strategists of Santa Clara, Calif., were unanimously elected to serve their respective first terms on the board of directors for the Association of Divorce Financial Planners (ADFP) … Kevin Jacobsen, former commander of the U.S. Air Force Office of Special Investigations, has joined the Virginia office of Ernst & Young as an executive director in the firm’s Fraud Investigation & Dispute Services area. During most of his 34-year military career, he conducted and supervised felony-level criminal, fraud, cyber, and counterintelligence investigations and operations. He retired with the permanent rank of brigadier general … The Washoe County (Nevada) District Board of Health has appointed Tim Nelson, president of Evans, Nelson and Co., as accounting representative to the board of directors for the Regional Emergency Medical Services Authority … Ken Segal, Brian Shaughnessy, and Roger Puccio-Johnson have joined Capstone Advisory Group as executive directors in its New York City office … Caridad Vasallo joins the Miami firm Kabat, Schertzer, De La Torre, Taraboulos and Co. (KSDT) as manager of its Forensic and Business Valuation practice … Eric Zaleski has joined PCE Investment Bankers, a leading provider of financial services based in Florida, and will be based out of its new Chicago-area office. Firms: For the eighth consecutive year, Anchin, Block & Anchin has been named one of the best companies to work for in New York state for 2015. There’s something for everyone in this month’s crop of CPE events. Valuing Accounting Firms: Unique Factors and Litigation Issues (April 30), with Bryan Rice (BCR) and Gary Holmes (Accounting Practice Sales Inc.).